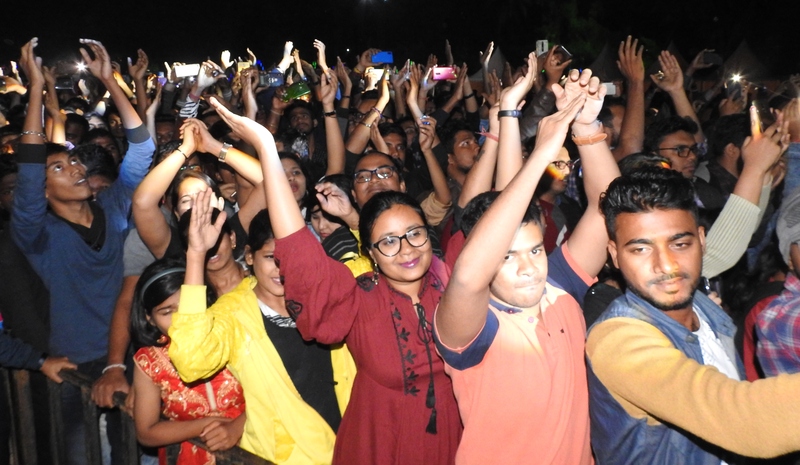 Bhubaneswar: Day 3 of the inaugural edition of ‘DoT FEST’ (Bhubaneshwar City Festival) successfully ended with an eventful turnout of audiences who witnessed a one of a kind performance by Bollywood singer and performer Sona Mohapatra. 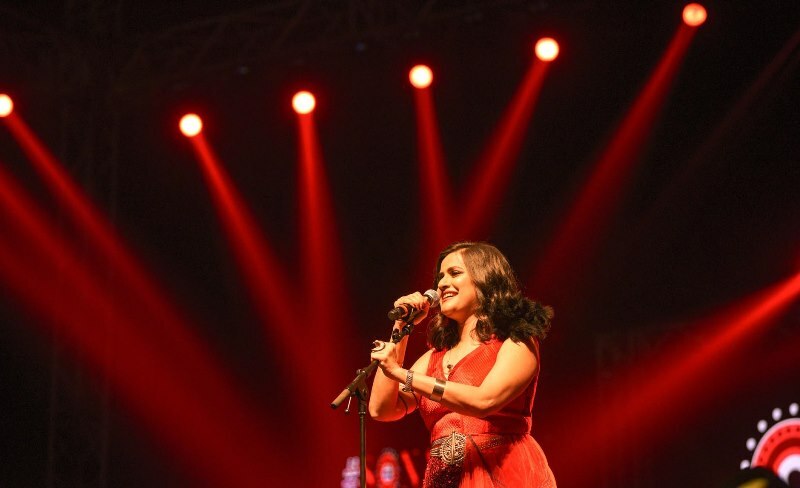 Amidst the scrumptious food offerings and experiences at the festival, the lineup of songs by the artiste filled the festival ground with the unmistakable deep and earthy voice she is well-known for. The talented singer and music composer gave the audiences a power packed performance. 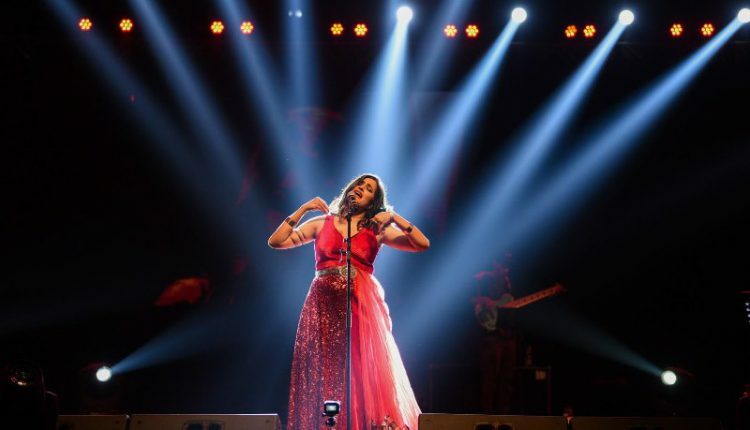 With her eclectic style and penchant to fuse folk with contemporary, Sona’s performance at the festival was loved by one and all as she enthralled the audiences with her trademark ‘Lal Pari Mastani – Live in Concert’. The highlight of the evening was her own version of the classic Odia folk song, ‘Rasorkeli bo’ which she sang for the people of Bhubaneswar for the very first time, before releasing it internationally. She also sang a few popular Hindi songs as well as several peppy numbers that audiences enjoyed immensely. The ‘DoT FEST’ is geared up to showcase phenomenal folk dance performances representing four different states of India tomorrow. Audiences will get to enjoy the joyous dance of Bihu from Assam as well as the lively and energetic dance of Bhangra from Punjab. There will also be a thrilling fire dance performance by Manipur’s Thang Ta martial artists as well as a traditional folk dance performance from Jammu & Kashmir. Close to 80 dancers across the four states will be traveling to the city to perform on stage for the festival in Bhubaneswar. The ‘DoT FEST’ is being held at the Exhibition Ground in Unit-3 of Bhubaneswar. It will conclude on December 16. Several Bollywood singers are slated to be part of the mega festival. One can visit www.bhubaneswar.me to get more details about the ‘DoT FEST’ which is being organised by the Tourism Department with the assistance from Bhubaneswar Development Authority (BDA) and Bhubaneswar Municipal Corporation (BMC). Tickets for the event could be booked on bookmyshow.com and the tickets are priced at Rs 250, Rs 550 and Rs 750.